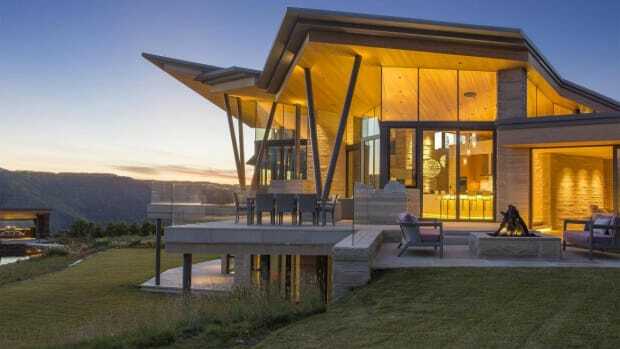 When it comes to architecture we are not beholden to one single style. 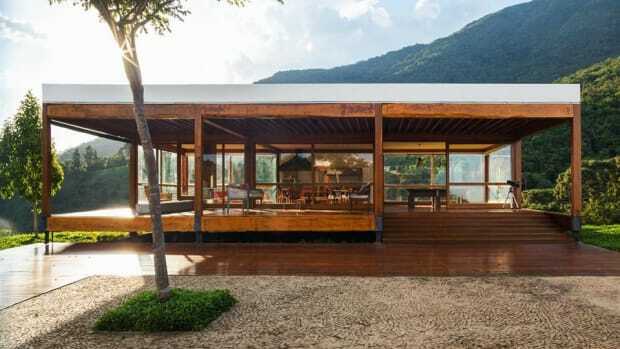 While we, of course, appreciate modern and industrial design, we also harbor affection for the classically-designed dwellings of the leisure class, both contemporary and historic, often museum-like in their beauty and totally devoted to luxurious living. This $135 million, 19-bedroom mansion in Beverly Hills built in 1927 is one of the most impressive estates in the world's most famous zip code. JFK and Jackie honeymooned here, it was once home to William Randolph Hearst, and was used to film scenes in The Godfather. The two-story library is simply incredible. 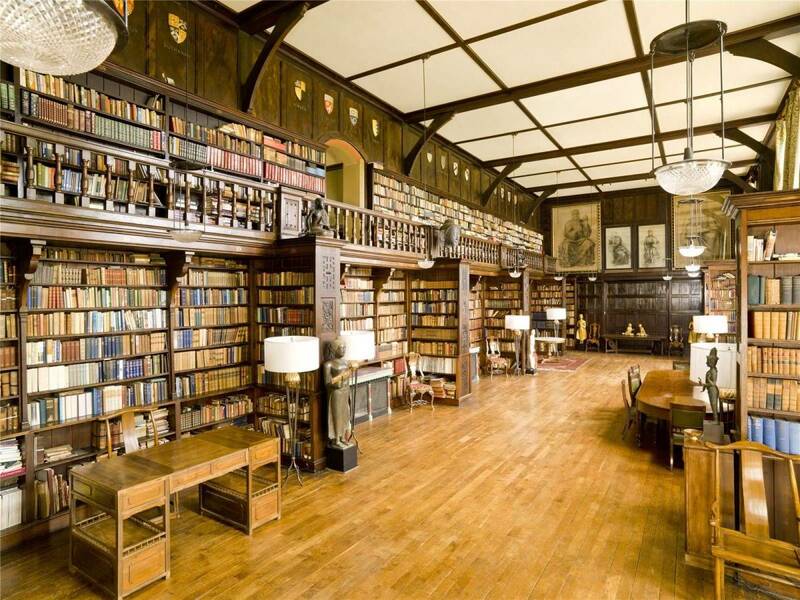 Listed at around $9.5 million, this historically important English country house has one of the most impressive private libraries ever. 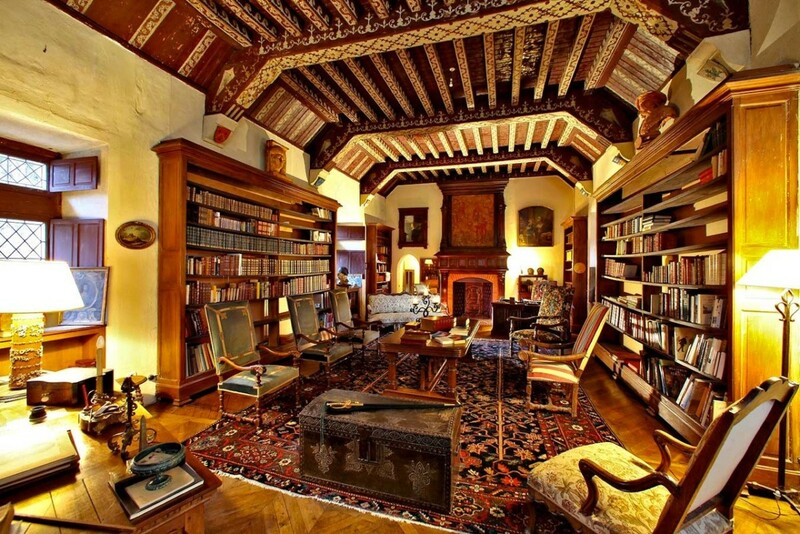 The entire west wing of the manor is taken up by a massive library designed for original owner Lord Coleridge’s collection of 18,000 books. At $2.9 million, this stunning 10-bedroom Renaissance style chateau in the Dordogne river valley is a steal. 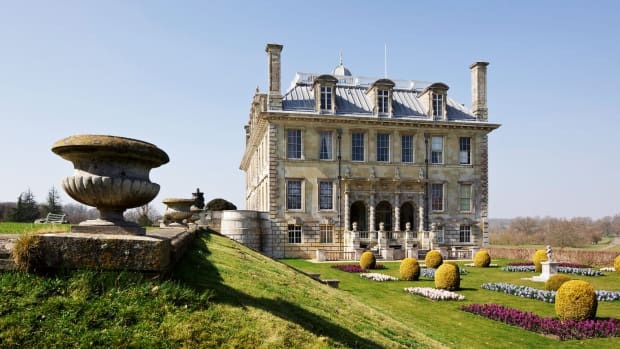 Built in the 17th Century the historic house has a cozy library with an impressive fireplace at one end while the extensive ground include the ruins of an 11th Century chapel and several natural springs. 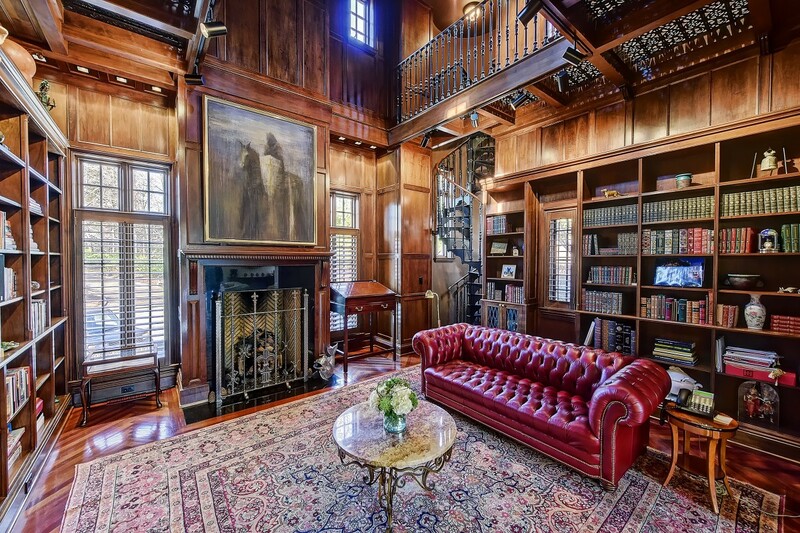 $4.5 million will get you the keys to this very gentlemanly estate in Charlotte, NC. 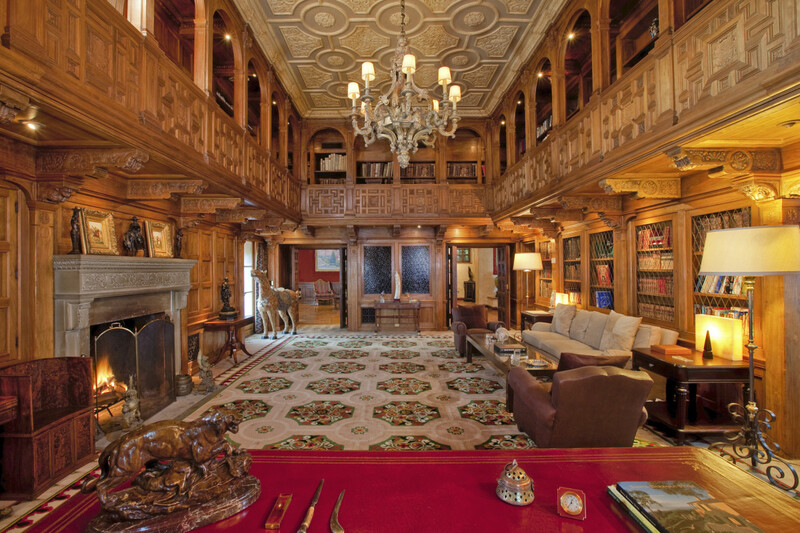 The gorgeous walnut-paneled library extends to two floors while the five-acre property features formal gardens, walking trails, a pavilion with a fireplace, a tennis court and a salt water swimming pool. Ibiza may be synonymous with raucous pool and beach parties, but at this $18 million estate you can stay above the fray and still enjoy the amazing scenery. 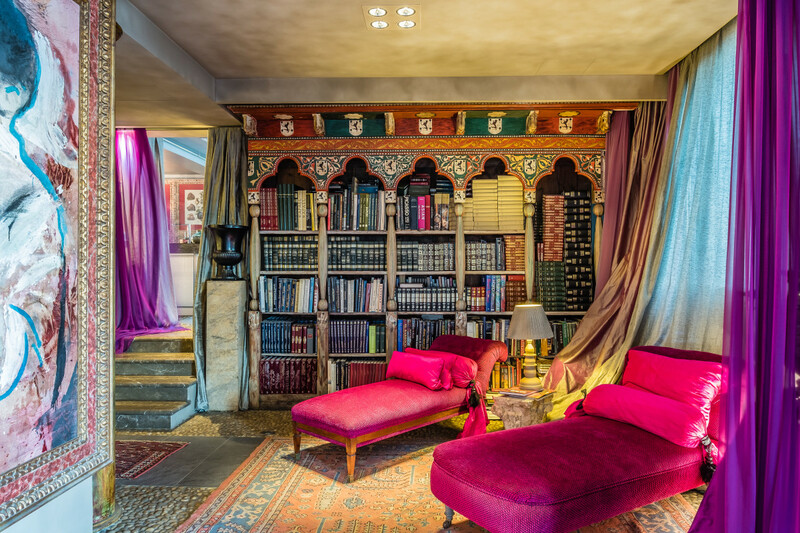 Built on stone and perched on a cliff, it's designed in the Moorish style which lends a touch of exoticism that extends to the cozy library.